On-the-glow compact: sunkissed color & contour. Worn by actress Emma Watson on her "Beauty and the Beast" press tour. Bathe skin in youthful, sunny radiance or be strategic with targeted contouring with Trystal, the world's first organic bronzing mineral powder from the luxury tan experts at Vita Liberata. 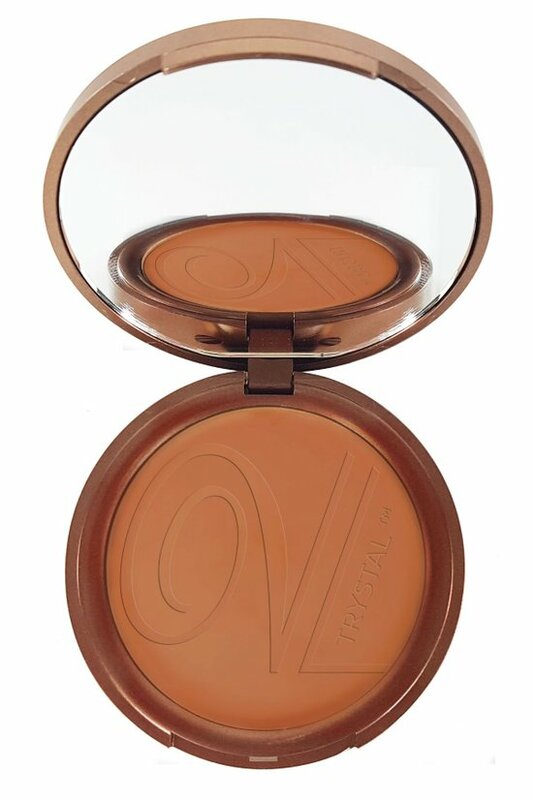 · New, mess-free pressed powder compact ready for vacay or on-the-go touchups. · Trystal3 Technology pairs oil-free micronized crystals & DHA to give natural-looking warmth suitable for all skin tones. · Beautiful, golden tan develops over a 4-8 hour period. · Gives skin a flawless, luminous finish. · Buildable color lasts up to five days. · A 2015 Cosmopolitan Beauty Awards Winner. To acheive a lasting tan effect, apply over moisturizer or liquid foundation. Using your favorite makeup brush, blend the mineral powder onto the face, neck, and decollete in circular movements.Use more around the cheekbones to achieve a contoured effect. The developed tan will last up to five days.